Namibia has qualified to the 2019 African Cup of Nations (Afcon) finals in Egypt, despite suffering a heavy defeat by Zambia in Lusaka on Saturday night. The Brave Warriors lost 4-1 away to the Chipolopolo at the National Heroes Stadium. 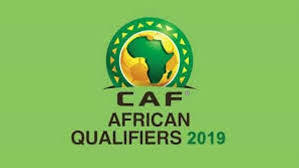 Zambia were on cause to scupper Namibia’s hope of qualifying to the Afcons, until Guinea Bissau scored two goals in the dying minutes to beat Mozambique 3-2. Namibia came into the final match of Group K in second place and needed a positive result against Zambia. A draw was enough and in case they lost – their fate should be in the hands of Guinea Bissau to defeat Mozambique. Namibia will make their third appearance at Africa’s biggest football showpiece, scheduled for June/July 2019 in Egypt. The southern African team first appeared at the finals in in 1998, then 2008.